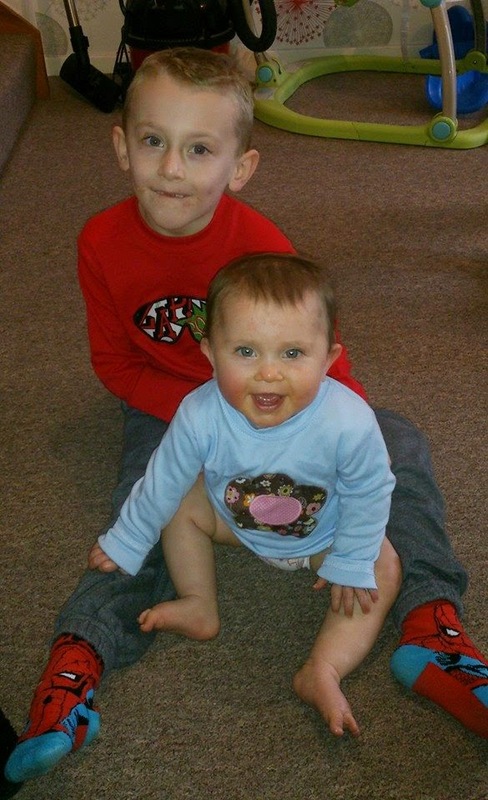 We recently received some really funky t-shirts in the post for James and Evelyn from the lovely Moodle's. We love to support local business's and that is just what Moodles is as they are based in Bristol just a short car journey for us! Moodles is a small business which began in 2011 with a focus on providing high-quality hand-made gifts. The inspiration was in the cherry-picked fabric designs which were used to create unique products, including personalised t-shirts, hoodies and baby blankets. From the outset Moodle's sourced t-shirts and babygrow's which were made in England - ensuring a high-quality, unique and local product which was not mass-produced overseas. James top is made from 100% cotton and feels very thick, soft and warm. The hero mask is appliqued in the Moodles store and each mask is unique! The sizes do seem to be very generous, James usually wears a 6-7 top this is a 5-6 and fits him really well so as suggested on the website if in doubt or in between sizes definitely order a size down. These are available in sizes 3-6 months all the way up to 5-6 years and are priced at £12.50. 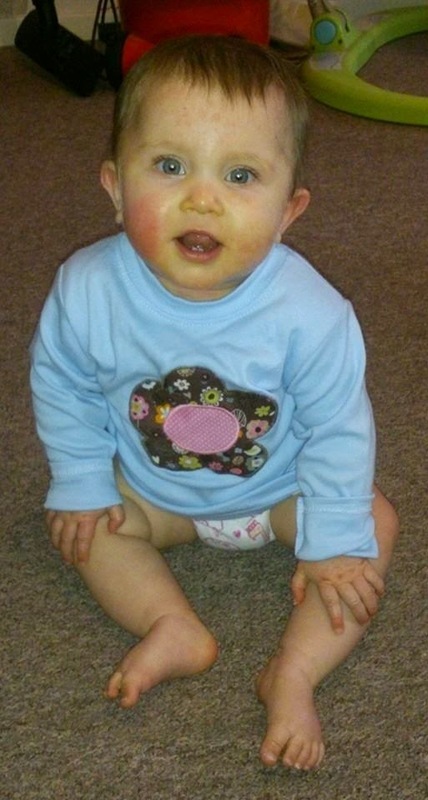 Evelyn's top is also made from 100% cotton and was also very warm and soft. 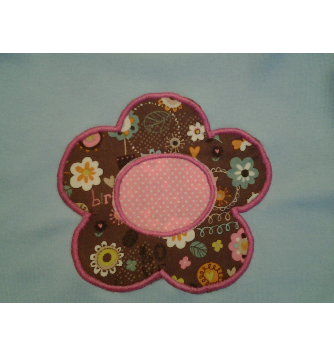 I really liked the fact in wasn't in typically "girly colours" and the sky blue of the top really set of the brown and pale pinks, greens and blues in the flower that had been appliqued on store in to the top. Also priced at £12.50 and available is sizes 3-6 months right up to 5-6 years. Both of the tops we received washed very well, both remained soft after washing and neither shrunk or stretched and remained true to there size. The colours also stayed vibrant and the applique still looks as good as new. The delivery from Moodles in fantastic. 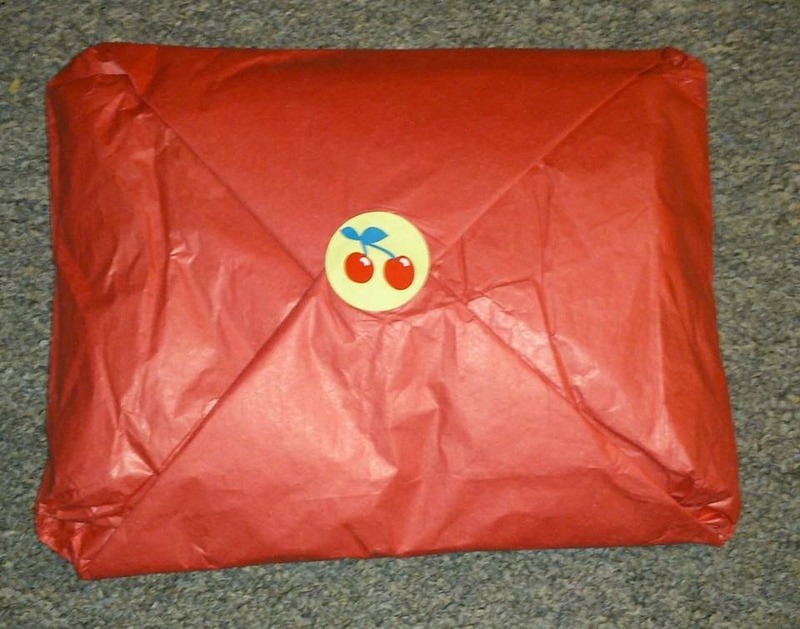 Our tops arrived very quickly packed beautifully in red tissue paper and topped with a cute cherry sticker. Moodles aim to deliver your products as quickly as possible. If they do not have the item in stock they aim to have your product made within 2 days and will even email you to inform you when you item is ready to collect or being posted! Moodles don't just sell tops they have a wide range of baby and childrens clothing plus accesories and lots of products that would make fantastic gifts! Why not pop over to the website and check out all the great products they have on offer here - moodles.biz. Moodles are always updating their stock and you can always stay up to date with all the latest news and products via the facebook page here - www.facebook.com/Moodles. Sarah, the lovely lady behind Moodles is hopefully planning on hold work shops during the morning in her store in Bristol for new mums. Where you can design your own babygrow /baby blanket/bib/bunting and the idea is that you choose your fabrics from the Moodles extensive stash, then draw and cut out the design, iron it in place, then come back and collect it the following week when Sarah has stitched it for you. Tea and cake will also be included! Does that sound like something you would be interested in? Have you checked out the website yet? Whats your favourite product from there? awe they look lovely hun, I love t shirts that feel soft and warm, they are the best type of t shirts. I love clothes that are made in the UK. My son would love the red superhero top. 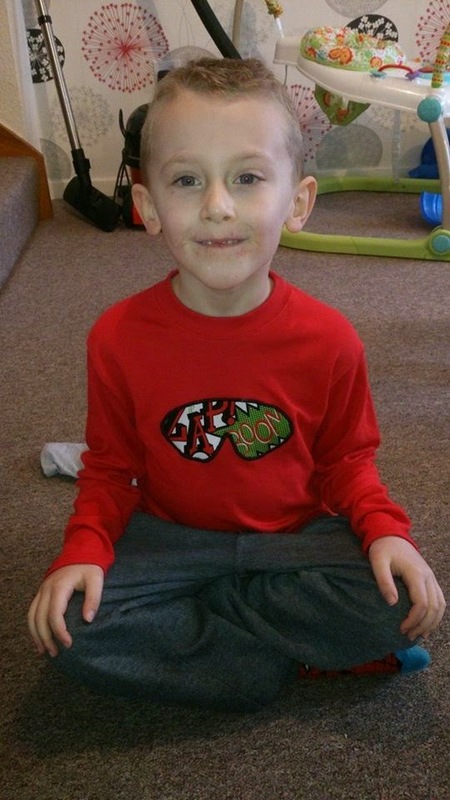 Isaac would love that t-shirt - he is super hero mad! 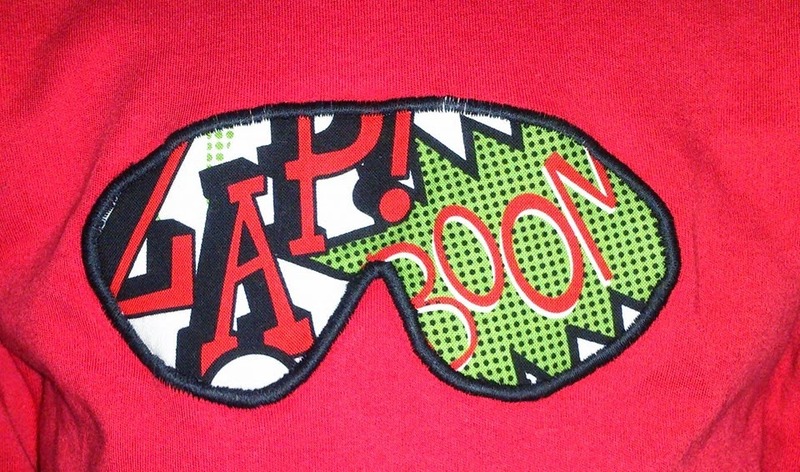 I love the super hero top - my son would definitely wear that!